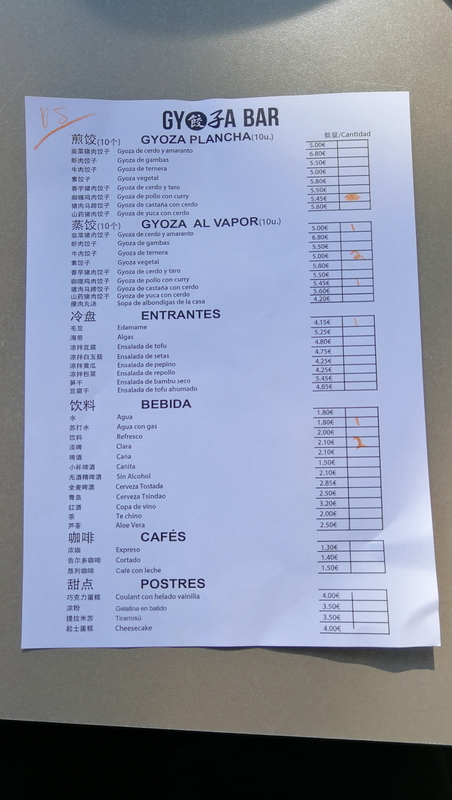 Gyoza Bar is an Asian restaurant with a minimalist interior and a small sunny terrace located a few streets away from the iconic Arc de Triomf, a popular Barcelona landmark. In this place you can find a fine selection of fried or steamed gyozas and a few other Asian “tapas” for excellent prices. We went on a Thursday afternoon with our Argentinian friend Pablo to eat some lunch and it was truly amazing. Type of food: Asian food. Type of atmosphere: Laid back, international atmosphere. Type of meal: Casual lunch.